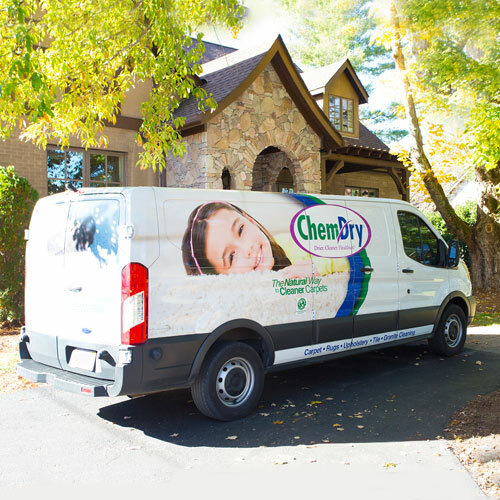 Chem-Dry Classic is your best choice for cleaning in our community because we use our proprietary hot carbonating extraction cleaning process that combines innovative cleaning solutions and industry-leading equipment. Tim Pieffer is a trained carpet cleaning professional that will deliver a cleaning that’s not only safe for your carpets, rugs and upholstery, but gives you the peace of mind of knowing you have a clean, refreshed home that is healthier for you and your family. Why would I use Chem-Dry Classic instead of other providers? Chem-Dry Classic provides superior results to competitors. We do everything from carpet cleaning, upholstery cleaning, area and oriental rug cleaning, pet odor removal, specialty stain removal, stone, tile and grout cleaning, and other commercial cleaning services. We are a one stop shop for all of your carpet cleaning needs. Contact Tim today at 916-486-8802 to schedule your appointment today! What is Hot Carbon Extraction? Chem-Dry Classic uses a hot carbon extraction process. This process uses many small carbon air bubbles to provide a deep and lasting clean for your carpets. 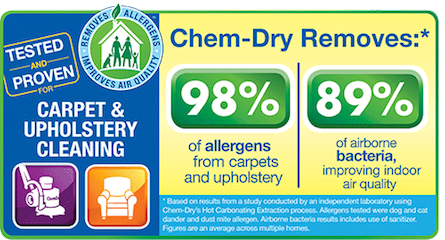 An independent testing lab has provided results showing that 98.1% of common household allergens were removed from homeowners carpets and upholstery. Make sure you call Tim today at 916-486-8802 so that he can leave your home drier, cleaner, and healthier. How much does Chem-Dry Classic charge? Chem-Dry Classic is competitively priced for the results that we provide. Tim has been providing the Sacramento, Carmichael and surrounding areas with services for over 23 years and his customers continue to come back because of his fair prices and superior results. Check out our specials today at https://chemdryclassic.com/specials and you can see with your own eyes that Tim is competitively priced. If you have any other questions feel free to contact Tim at 916-486-8802.